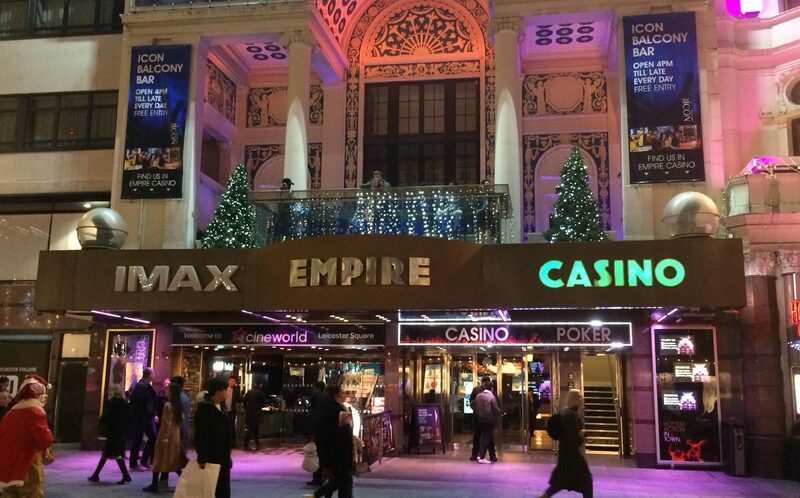 Leicester Square’s Empire cinema was host to a special preview screening of Alita: Battle Angel earlier this week and we at Review Avenue were lucky enough to nab an exclusive ticket to the glitzy event. 30 minutes of selected scenes were exhibited in glorious IMAX 3D to give us a better sense of what Alita has to offer when released in February next year. In attendance were maverick filmmaker and director Robert Rodriguez (Sin City, From Dusk Till Dawn, Spy Kids) and legendary producer Jon Landau (Titanic, Avatar) who gave a brief Q&A (which can be found here) after the footage was shown. Whether you’re already pumped to see the film or know nothing about it, I present my thoughts which should hopefully shed some more light on one of the biggest movie releases of 2019. A little bit of background info first. Alita: Battle Angel has been in development for a long time. 19 years to be exact. Based on a manga by Yukito Kishiro, the Japanese comic was brought to the attention of James Cameron (The Terminator, Titanic) by fellow director Guillermo del Toro (Pacific Rim, The Shape of Water). Cameron initially wanted to direct the film himself, writing a large 200-page script and making even more notes. However, his work on Avatar took over and well… The rest is history as they say. With Avatar‘s monumental success Cameron confirmed that he’d likely be working on sequels to said series for the rest of his career, leaving Battle Angel in limbo. Until a dinner between Cameron and Robert Rodriguez took place at least, in which Cameron offered Rodriguez the chance to direct the project if he could condense his large script. Rodriguez promptly did this over a summer. And here we are. Moviemaking kids, it’s that easy. I wanted to give a brief history of the film’s development because I think it’s important to highlight Cameron work on Alita. That knowledge did give me a better understanding of what Alita is, at the very least, trying to be. It’s attempting to be the next big thing, the next monumental smash hit. As we all know James Cameron does not just make successful films, he makes record breakers. This is both exciting and a big concern. Exciting because after seeing 30 minutes of footage it certainly shows a huge deal of promise to be the next great spectacle of the Hollywood blockbuster. On the other hand, the films only 2 months away from release and I don’t see much “buzz” about the film at all. A lot of people I speak to haven’t even heard of it, and some that have don’t seem impressed. My worries seemed almost confirmed during this preview as it was over 20 minutes late at starting. No reason was given but I have a sneaking suspicion it was because of poor attendance. It seemed that people were being invited in off the street just to make up the numbers, including some Pennywise street performers that I’d seen scaring crowds in the square earlier. Which isn’t the best sign. Alita had certainly taken over the cinema that day though. 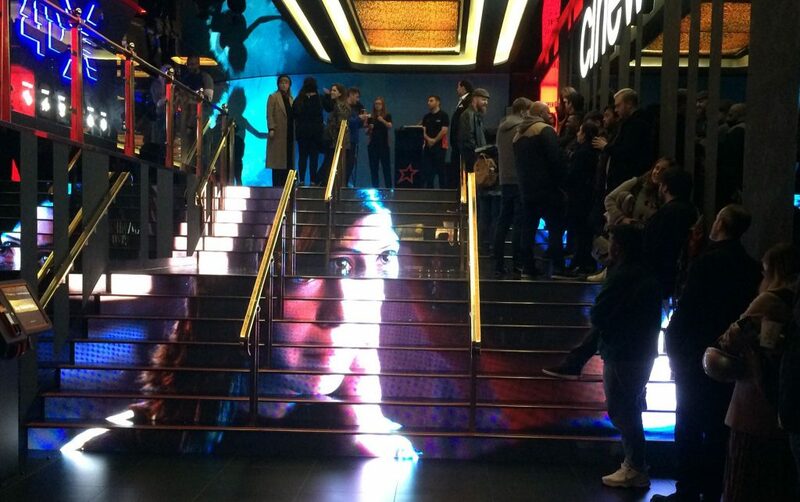 The cinema’s futuristic foyer was donned with posters and the film’s trailer played upon the steps leading up to the screens. Once enough people were seated and the 3D glasses were dished out Empire Magazine editor Terri White took to the front to introduce Robert Rodriguez and Jon Landau. They were given a warm reception and Landau seemed especially enthusiastic to show off the film. They kept their introduction brief, however, promising they’d talk in-depth during the Q&A afterwards. The duo had someone to introduce themselves – writer and producer of the film James Cameron, via a short video message. Cameron appeared upon the huge IMAX screen, although devastatingly not in 3D. He gave a brief history of his time developing Alita, talked about how he and Rodriguez found each other and joked how Avatar had taken over his life. Now finally after all the introductions were over, it was time to watch the footage. Instead of combing through what was shown scene by scene and risk a boring list format, I’m going to give an overall impression of the footage. I’m happy to say I was impressed. There was a nice mix of quiet, more character focused moments, world building and dizzying action. Visually, the film is very striking and beautiful to look at. In a similar vein to Avatar, every detail of the production has been painstakingly poured over. Props, sets, and costume deepen the world with a better motive than “because it looks pretty” but also managed to never feel overwhelming. The scenes introducing Alita were endearing and sweet, simply but effectively setting up the character and her journey to discover herself. It’s something we’ve seen from Cameron’s writing before and whilst it may not be original or complex, it is effective for these larger than life movies. Alita seems to follow many of the “fish out of water” story beats as we experience the world through her fresh eyes, helping us to identify with her. Again, this isn’t anything new from the filmmakers involved but it works. Something that surprised me was how quickly I forgot that Alita is a completely CGI character. The frequency and seamlessness in which she interacts with live action actors or sets are perhaps the best yet seen. Jon Landau said afterwards that the detail in Alita is unparalleled and that she has more pixels in one eye than the entirety of Gollum in The Lord of the Rings trilogy. I was also (pleasantly) surprised how the film took the time when developing Alita and Dr. Ido (played by Christoph Waltz). I suspect this willingness to put the plot on hold whilst characters develop will result in a long run time. It cannot yet be said whether that is a good or bad thing, but as of right now it’s a worry far from the forefront. A few scenes they did show did feel a little overlong. One in which Alita finds a new mechanical body in a crashed spacecraft seemed particularly drawn out, but it must be remembered that we only had a title card introduction for context, so it’s possible that complaint wouldn’t be made in the final cut. The 3D was better than most having been shot in the format rather than converted, but it comes down to preference over anything. 3D still adds blur during fast-moving action scenes and I’d rather be without that. There’s also bound to be some wonky effects in such a CGI heavy film, and Alita is no exception. But contemplating what I’ve seen so far there was a surprising amount of live elements that do ground the movie in the same way Avatar did. The preview didn’t reveal much about the overarching plot. Alita protecting her friends from Iron Cities gangster underworld was the only threat shown, but the trailer suggests that there might be a bigger, end-of-the-World type enemy. I hope this possibility isn’t just thrown together and dilutes it into something generic. Far from generic are the films action scenes though, which we were treated to a few: a couple of kinetic gang fights and a ludicrously fun motoball sequence which the evening ended on. This sequence was certainly the highlight in terms of spectacle and was an escapist blast to watch on the biggest screen possible. It avoids the Transformers-style punch-ups that plague many Hollywood action films today by being inventive, having a rhythm and being directed with clarity. A couple more of those and Alita: Battle Angel has the potential to be the most exciting blockbuster of 2019. The preview for Alita: Battle Angel had me pleasantly surprised. For a film that I initially cared little about, what I was shown definitely put the film on my radar without spoiling too much. Alita makes an endearing protagonist and Iron city an enticing location. The number of live sets and their infusion with CGI characters/effects was very impressive also, and the motoball action scene was wild untamed fun. Battle Angel looks beautiful in IMAX but personally could have done without the 3D. James Cameron’s fingerprints can be felt all over this project, and that’s certainly exciting for a big adventure blockbuster like this. It may not rewrite the rule book or offer something new, but twinned with Robert Rodriguez’s tactile style, the potential for an exemplary spectacle is very much alive. Alita: Battle Angel hits UK cinemas February 6th, 2019. Check out the full published Q&A with Robert Rodriguez and Jon Landau here.